Although solar thermal energy and photovoltaic solar energy are two different types of energy with different characteristics, to analyze the advantages and disadvantages of solar energy, we are going to do it together. The advantages of solar energy depend on different factors. Depending on the characteristics of the solar installation, certain advantages can be observed with respect to other energy sources. Solar energy is a renewable energy and, therefore, it is inexhaustible. Although the sun has a limited life, on a human scale it is considered inexhaustible. Low pollution and respect for the environment. The production of electrical energy in the case of photovoltaic energy or domestic hot water in solar thermal energy is not polluting nor causes greenhouse gases. Facilities with a reduced installation and maintenance cost. 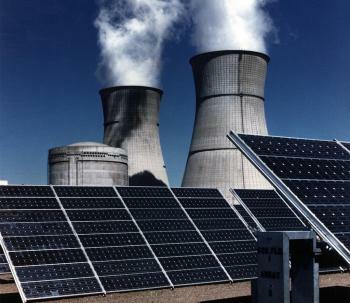 The cost of a solar installation compared to other types of facilities such as a nuclear power plant are very low. In the same way, the maintenance of a solar installation is not very expensive. Favorable for isolated sites. In cases where access to the electricity grid is difficult, solar energy is a very good option. Favorable public opinion. Public opinion is mostly favorable to the use of solar energy. The perception of the population is that it is a clean and sustainable renewable energy. Energy efficiency is poor compared to other sources of energy. The ratio of the amount of energy received in a solar panel to the amount of electrical energy is low compared to other sources of energy such as nuclear power. The economic cost compared to other options. Especially in solar thermal energy, taking advantage of the properties of temperature and thermodynamics, the performance is superior to photovoltaic energy. The performance is a function of the weather. Dependence on climatology makes this energy source an unworkable option in areas where the sky is mostly cloudy. Limitations on solar time. Keep in mind that in certain areas the solar time is shorter. The Nordic countries, for example, during the winter days the solar hours are very few. In addition, the inclination of the Sun with respect to the surface varies during the different days of the year. The variation of the inclination of the radiation alone influences the performance of the solar panels. Limitations to store the generated energy. Because the hours where electrical energy can be obtained do not always coincide with the hours in which it is necessary to store the energy. For this, there are solar batteries and hot water tanks, but the efficiency is still very low. Solar thermal energy (also called solar thermal energy) consists of the use of solar radiation to obtain thermal energy (heat). The heat obtained is used for the production of hot water for domestic consumption, whether hot water (DHW) or heating. Solar energy can also generate electricity or even build solar cookers. It is, therefore, a thermodynamic mechanism in which energy is transformed. On the other hand, photovoltaic solar energy also converts solar radiation into electricity. If thermosolar energy needs a thermodynamic process for its conversion into electrical energy, photovoltaics needs a chemical process: it consists of the transformation of solar radiation into energy through a direct electric current. This transformation is achieved thanks to the composition of semiconductor materials such as silicon and the photoelectric effect. This transformation into energy is immediate thanks to the photovoltaic modules. The advantage of solar thermal energy, compared to photoelectric energy, is that it allows many applications (solar heating, electricity generation ... etc. ), while photovoltaic energy only allows the generation of electric power. The disadvantage of solar thermal energy is that it has a lower performance than that of photovoltaic solar installations. When it comes to heating water, solar thermal energy has an advantage, since the heat energy is transmitted directly to water. Photovoltaic energy has the disadvantage that to heat water it must first generate electricity and then heat the water with an electric heater. This system involves certain energy losses. The advantages of solar energy depend on the characteristics of the installation. In comparison with other energy sources, it has numerous characteristics that make it a very favorable source of energy. Analysis of the disadvantages of solar energy compared to other sources of energy. The characteristics of an installation could imply that a facility would not be viable in certain cases.